A $5.2 billion-per-year proposal for road maintenance and transit operations was passed by both houses of the California Legislature in broad daylight. While it's true the votes occurred in the evening, they were held under the new rules approved by the voters when they last year overwhelmingly said yes to Prop 54, which prohibits the Legislature from passing legislation unless the final bill language is published for 72 hours before the final vote. The transportation bill addresses a very serious issue in California -- underfunded road and transit maintenance. The final legislation includes substantial new accountability measures to ensure billions of dollars are wisely spent. And it moved through the Legislature while giving the public time to understand and weigh in without last-minute changes to its language behind closed doors. In other words, Prop 54 works—and on the biggest stage imaginable. There's been hand wringing by some over how Prop 54 would hamper the legislators because it would give power to the special interests--an interesting rationale given that's what the old system too often did. What the critics miss is Californians voted for Prop 54 in their own interests--not those of stakeholders or legislators. “The bill has proven the value of Prop. 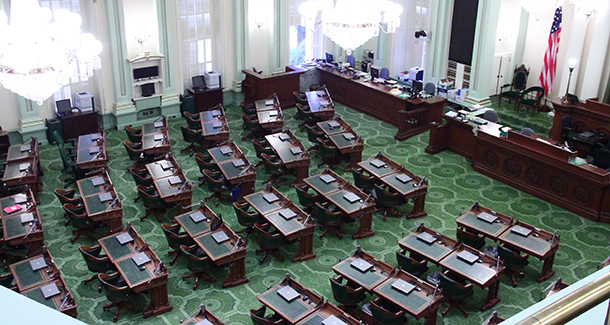 54, which was approved by voters in 2016 and championed by California Forward, in raising transparency of the legislative process by requiring legislation to be available on the internet for 72 hours before it’s voted on. As a result, the public engaged in a robust open and public debate on SB1, well ahead of the Legislature’s vote. This was the first opportunity since voters approved the 72-hour rule, and we commend the Legislature for implementing the will of the people." In addition to promoting increased transparency in government, CA Fwd argued before the votes this week that the passage of SB 1 was both an economic imperative and an important step toward improving performance and accountability. "The final bill satisfies all of the criteria for sustainable tax policy identified in CA Fwd's Financing the Future Series....SB 1 would balance equity concerns (by pairing regressive gas tax hikes with more progressive new vehicle value fees). It would produce significant revenue that would be fairly stable. And it would fund activity that encourages economic growth and efficiency—all in the service of meeting a clearly defined state priority: maintaining California’s road and transit systems,” wrote CA Fwd CEO Jim Mayer. Let's congratulate the Legislature (and Governor Brown who pushed the bill assiduously): This was the first big test of transparency and accountability rules approved by voters and giving the public time to understand major legislation before a vote. And we're happy to say the Legislature passed.